I'm not a big fan of wintry weather, but I do love creating winter activities for young children! 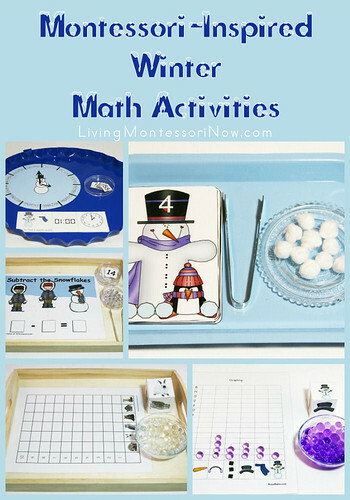 Today, I want to share some Montessori-inspired math ideas using awesome free printables I found online with a winter theme. The hands-on activities are for preschoolers through first graders. 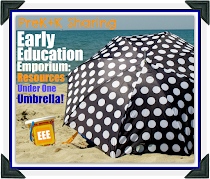 You'll find lots more activities for preschoolers through first graders throughout the year along with presentation ideas in my previous posts at PreK + K Sharing. 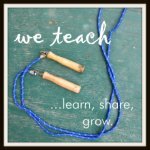 If you'd like to see all my posts here in one place, you'll find them in this post at Living Montessori Now: More Than a Year's Worth of Freebies and Montessori-Inspired Activities. As usual, the Winter Pack from 3 Dinosaurs is HUGE! The pack is designed for ages 2-8 and includes literature-based activities to go with the book There Was a Cold Lady Who Swallowed Some Snow! (There Was An Old Lady). The addition, subtraction, and counting activities are amazingly simple to prepare. Many of the 3 Dinosaurs printable packs have counting, addition, subtraction, greater than/less than, and/or word problem printables with numbers that are interchangeable. I just used the numbers from the "Montessori-Inspired Ocean Math Activities" I prepared in June. I would probably put both the addition and subtraction pages on a tray for children who are ready for them. For younger children, I would make a separate "Count the Snowflakes" tray. 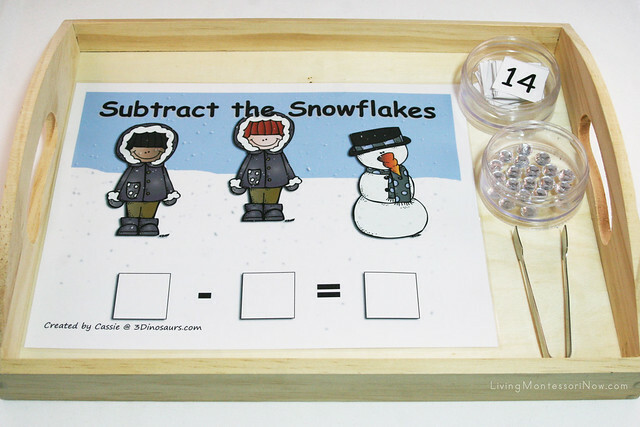 For each tray, be sure to have the exact number of snowflakes needed for the highest sum or difference or to go to the highest counted number you're using in the activity. I like to use 3-dimensional objects whenever possible, so I used clear gems from a hobby store (Michaels) for the activity. They also had some snowflake-like sequins that would work well. 3 Dinosaurs has snowflakes that can be printed out and used if you prefer. The addition or subtraction activity works for any child who has a good understanding of quantity and numerals. There are number cards included in the activity for 1-20. You could use 1-15 or even 1-10. The photo shows how I prepared the tray with an inexpensive wooden tray from the hobby store, a small container for the snowflake gems, and another small container for the number cards. I added a sugar tong for an additional practical life activity. The sugar tong is optional. For the activity, I would have the child choose two number cards, placing the larger number in the space to the left. Then he or she could count out the correct number of snowflakes to place above the minuend as in the photo.As the child counts out the correct number for the subtrahend, he or she could count out and move that number of snowflakes to the area above the subtrahend. 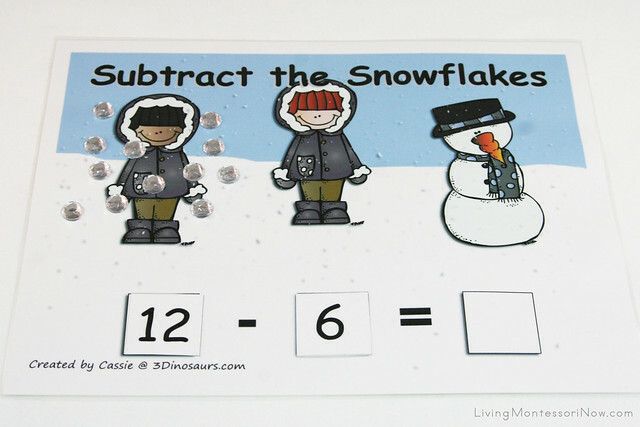 After taking away those snowflakes, the child could then count out the snowflakes left and place the number card with the difference in the last space. Continue creating and solving subtraction equations as long as the child is interested. 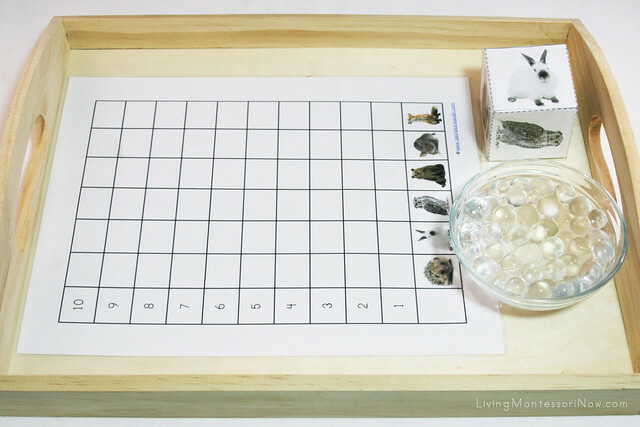 For addition presentation ideas, check out the Montessori-Inspired One Fish, Two Fish Addition Tray in my February post here. You should be able to easily adapt the presentation for this activity. If you're interested in introducing greater than and less than, be sure to check out my Greater Than Less Than Alligator Math. For this activity, I used the Cool Combos of 10 printables from Easy Peasy Primary Resources at Teachers Pay Teachers. Children can count or add snowballs. There are matching cards with sums of ten. Younger children can just count snowballs to match the 3-dimensional snowballs to the snowballs on the cards. To make the activity 3-dimensional you can use white pom poms if you have the correct size, or you can create an inexpensive version like I did by tearing off bits of cotton balls and shaping the cotton into "snowballs." I just used 10 snowballs so that children could check their sums. For younger children, you could have one of each number card with 55 snowballs to match the number cards 0-10. I added an optional sugar tong to the tray for some fine-motor work. I LOVE water beads! They're great for many sensory activities and also add an extra element of fun to roll and graph games. Here are two different variations of winter roll and graph games. The Mitten Roll and Graph Game from The Mitten Printables is from 1+1+1=1. Snowman Roll and Graph Game is from the Royal Baloo Snowman Packs. The 1+1+1=1 printables and Royal Baloo printables have lots of additional activities that can be used for a number of skills. For roll and graph games, children can roll the dice and color in the graph, but you can also create a fun hands-on game that's perfect for fine-motor coordination. The Mitten Roll and Graph Game has a 1-5 version and a 1-10 version. 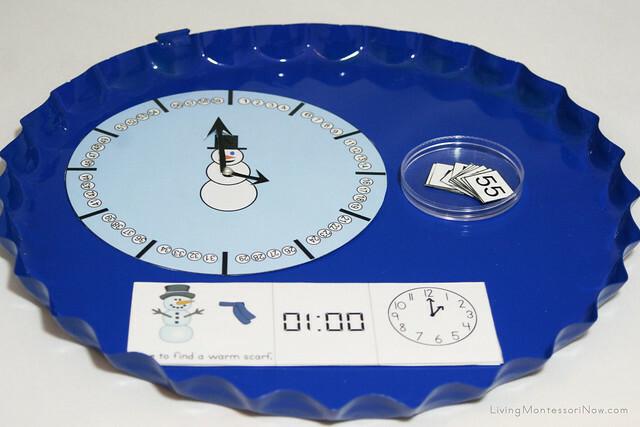 The Royal Baloo Snowman Roll and Graph Game has a 1-5 version and a 1-15 version. To make the cube, I printed out the cube on cardstock, cut it out, and put it together with glue before adding clear packing tape as a laminate and a way to seal the cube. Water beads are wonderful for the pincer grasp. I wouldn't recommend using water beads for this particular activity for a child who has difficulty with fine-motor coordination and becomes frustrated easily, though. 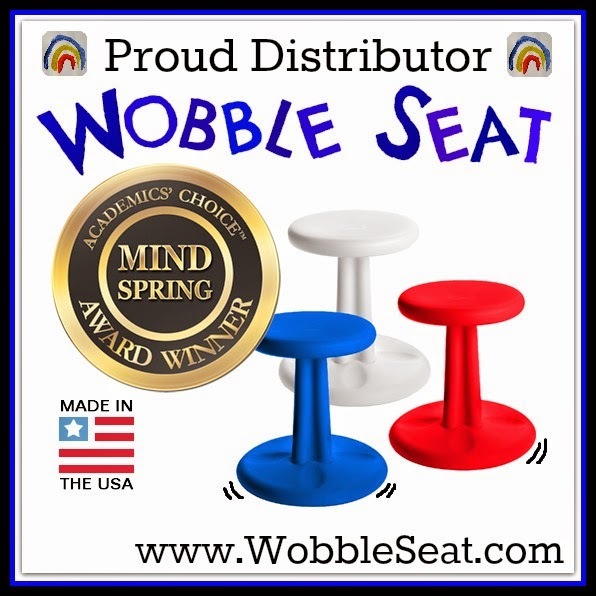 The water beads require fairly good fine-motor coordination skills and tend to move around easily. For children who have fairly good coordination and would enjoy a challenge, I think the water beads are a fun addition. I've read that it's good to keep the water beads completely covered in water so they don't get moldy. I added a bowl of water beads covered with water to the activity. If you have the cardstock graph laminated and leave a laminate edge, it's fine for it to get wet from the water beads. This could be made into a cooperative game where each child takes a turn rolling the dice and placing a water bead on the graph for the appropriate animal, snowman, or snowman accessory. I like the cooperative aspect of having the children work together to add water beads to the graph until one of the animals in The Mitten reaches 10 or the snowman or one of the types of accessories reaches 15. Even though the game is cooperative, you can still use it to teach sportsmanship. At the end of the game, the children could shake hands with each other and say, "Good game!" It's helpful for children to learn the social etiquette for games without the emotions involved in winning and losing. Hopefully, that will make it easier for them to remember to show good sportsmanship during an actual competitive game. You'll find more ideas on creating cooperative games here: How to Use Cooperative Games to Teach Sportsmanship. 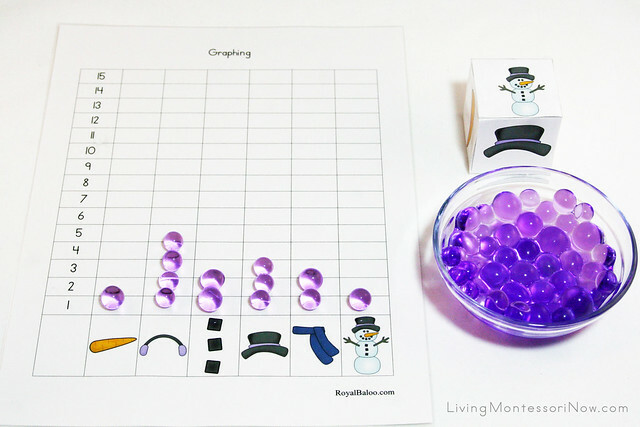 For a fun Dinosaur Roll and Graph Game for any season, check out this post: Montessori-Inspired Dinosaur Fun with Printables, Water Beads, and Glass Gems. In addition to tot and preschool snowman packs, Royal Baloo's Snowman Packs include activities for K-1. A great way to introduce children to Sudoku skills is with Royal Baloo's snowman Sudoku activities. There are easy, medium, and difficult levels, which could each be made into their own activity tray. 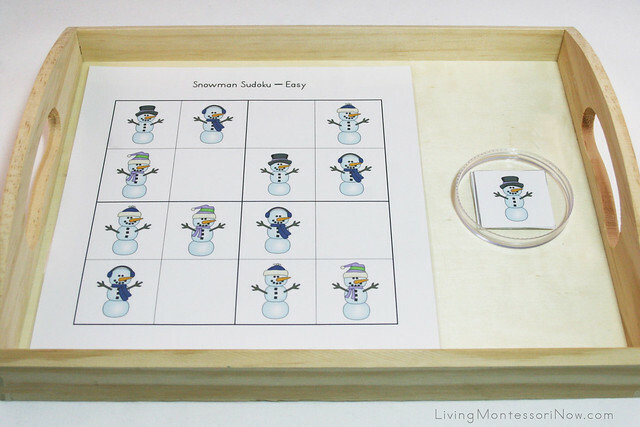 Here's an example of an easy snowman Sudoku activity using the Royal Baloo printable. 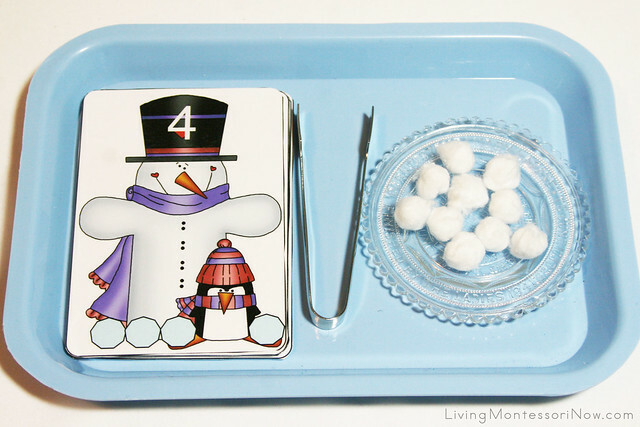 For this tray, I used a cute snowman clock activity from Living Life Intentionally's Snowman Pack. With so many digital clocks, cell phones, and watches today, it takes extra work for children to understand how to read an analog clock. I like that the printable has number cards 5-60 to add to the clock. I also added some cute time printables from the Royal Baloo Snowman Packs to give children experience with both digital and analog clocks. I drew on the clock hands so that children could set the other clock hands. Older children could draw on their own clock hands. For more Montessori-inspired winter activities, check out these posts with LOTS of activities: Montessori-Inspired Winter Activities and Montessori-Inspired Arctic and Antarctic Unit at Living Montessori Now and Montessori-Inspired Snowman Color Activities and Montessori-Inspired Snowman Letter Activites at PreK + K Sharing. If you're planning Valentine’s Day activities, I have lots of Montessori-inspired activities at Living Montessori Now: Turning Valentine Crafts into Montessori-Oriented Activities, Montessori-Inspired Valentine’s Day Activities, Kindness Challenge #2 – Montessori-Inspired Kindness, Montessori-Inspired Valentine’s Day Activities (2012), and Montessori-Inspired Valentine Math Trays and Valentine Ideas Blog Hop. Linked to Tuesday Tots, Tactile Tuesday, The Mommy Club Resources and Solutions at Milk and Cuddles and Crystal & Co. , Enchanted Thursdays Blog Hop, The Weekly Kid’s Co-op, Learn & Link, Living Life Intentionally Linky Party, Preschool Corner, Sharing Saturday, Saturday Show & Tell, Share It Saturday, Show-and-Share Saturday, The Sunday Showcase, Link & Learn, and Afterschool Express. I love this. You do a great job as always putting the activities together. Adorable ideas... I had fun pinning those...so usable and you can take them in so many directions. Thanks Deb! Love this. You are always one of my go-to people to be inspired by. I love seeing how you make free printables into hands on activities! Hands on is great and free is even better! Thank you! Thanks for linking up to Sharing Saturday! Great Activities Deb! I'm linking this in a Winter Unit Study I am working on (part of an entire preschool curriculum that I have in the works!) Thanks for sharing all your great ideas! You always find such great resources Deb. Thanks for sharing them. The snowman sudoku looks very interesting. Thank you for sharing at the After School Link Up. These are such fun winter ideas! I think my favorite is the graphing practice. Thanks for sharing at the Sunday Showcase! I especially love the clock activity but the entire post is filled with some wonderful winter ideas. I have pinned this onto my Winter themed Pinterest Board. Thank you for linking up to the brand new Hearts for Home Blog Hop! Hi, Deb - I love the Montessori-style "stations" - I will definitely share them with my teachers. I am not a winter fan, either, but I DO love building snowmen with little ones. The snowy weather we are having in CT inspired me to create the post, "Snowballs, Snowflakes and Snowmen: Winter-Themed Lesson Plans" (http://kimbennett.blogspot.com/2015/01/building-a-snowman.html). I am adding your post as an indoor link, and pinning! More on Mixed Aged Classrooms: How Do You Manage? Painting with snow ... and other snowy fun! Free Chinese New Year Celebration Dance Activity! Staying On Top of Things! Chinese New Year – Sing, Dance, Create!